Adam Wade? Isn’t he that guy who hosted that game show Musical Chairs back in 1975? Yes, indeed, but did you know that Wade also released several singles on both Coed and Epic records in the 1960s? Well, that’s why I am here. Adam Wade can definitely fit into the expansive category of singer, who is also quite proficient in other creative fields. He actually started his odd career as a lab assistant to Dr. Jonas Salk. For those of you who have completely forgotten 9th grade biology, Salk invented the vaccine for polio. Wade’s passion for singing outlasted his scientific endeavors and he followed in the vocal tradition of Johnny Mathis and Nat King Cole. Wade moved to New York in 1960, played the Copacabana, and was consequently snatched up quickly by the eastern doo-wop inspired Coed records (the record label of the Duprees and The Crests). 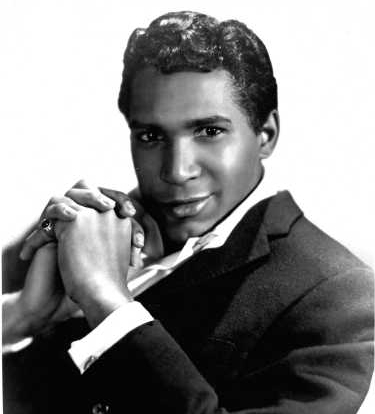 After switching from Coed Records to Epic Records in 1962, Wade experienced a steep decline in singles popularity and after several years of unsuccessful recordings, Wade dropped the music studio for the movie studio and thus started a long career in acting, highlighted by his hosting of “Musical Chairs.” Wade became the first African American to host an American game show. The show, which had contestants fill in lyrics, allowed Wade to sing and act. After the show he went back into music in 1978 with funkier recordings and then back into acting, switching off between music and acting and usually combining the two in theater. I am going to embed “The Writing on the Wall” because I think it best demonstrates his textured croon.